Disclosure: I was provided with promotional product in exchange for an honest review and promotion of show. All views shared are mine and mine alone. Next year we are going to surprise the girls with their first Cirque du Soleil show, when it makes a stop at the DCU Center in Worcester, MA. My husband and I took a few Cirque du Soleil shows before we had the girls, but haven't been since -- over 9 years now. So many great new shows have be added, and I continually hear from friends and family who take in one of the performances that it was amazing and like nothing they have seen before. I had been waiting until my girls were a little older and could sit for longer running show like this. They have loved circus events we have brought them to, so I know they will love this part circus, part play, part musical extravaganza, all in one. I can't wait to watch their eyes light up when the shows starts and they see what Cirque du Soleil is all about, and why so many families continue to buy tickets each year a show comes near them, so that they can plan a fun family day out, to take in a performance. 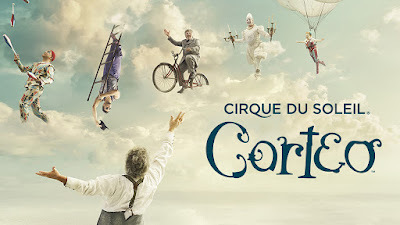 Corteo looks amazing, based on the trailer I watched (see below to see for yourself), and it the perfect way to welcome 2019 with the family. 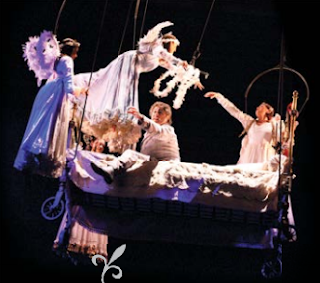 If you like buying family gifts to surprise your whole family with on Christmas morning, why not consider picking up tickets to take your family to Corteo. Kids and adults of all ages will be mesmerized by the show and acts, and will be talking about the show and their favorite parts for some time. "Corteo, the latest and most enchanting Cirque du Soleil’s arena production is now touring in North America. The show will visit Worcester at the DCU Center from January 3 to 6, 2019 for a limited run of six performances. This unique production, directed by Daniele Finzi Pasca, first premiered in Montreal under the Big Top in April 2005. Since then, the show has been a great success and has amazed 8 million people in 19 countries on four continents. 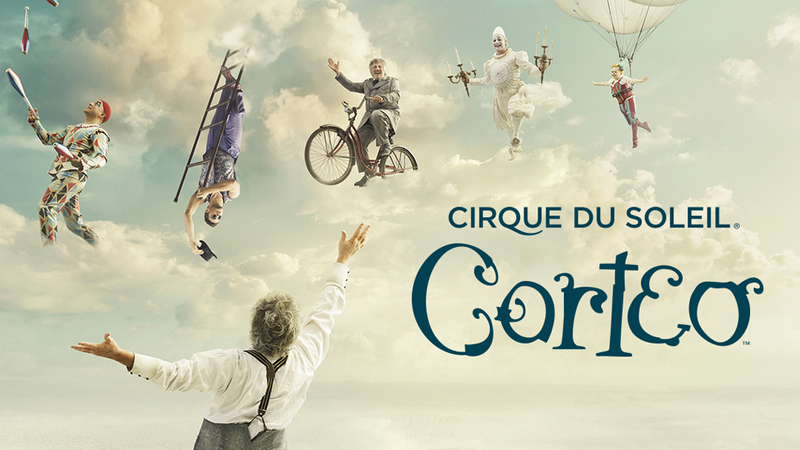 Advance tickets for Corteo are available now online to Cirque Club members. Cirque Club membership is free and benefits includes access to advance tickets, special offers and exclusive behind the scenes information. To join, go to www.cirqueclub.com. Tickets to the DCU Center stop will be available to the public as of September 7 at 10 am at cirquedusoleil.com/corteo. Corteo, which means cortege in Italian, is a joyous procession, a festive parade imagined by a clown. The show brings together the passion of the actor with the grace and power of the acrobat to plunge the audience into a theatrical world of fun, comedy and spontaneity situated in a mysterious space between heaven and earth. The clown pictures his own funeral taking place in a carnival atmosphere, watched over by quietly caring angels. Juxtaposing the large with the small, the ridiculous with the tragic and the magic of perfection with the charm of imperfection, the show highlights the strength and fragility of the clown, as well as his wisdom and kindness, to illustrate the portion of humanity that is within each of us. 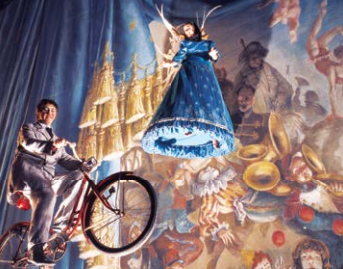 The music turns lyrical and playful carrying Corteo through a timeless celebration in which illusion teases reality. The concept and disposition of the stage bring the audience in a theatrical atmosphere like never seen before in Cirque du Soleil arena shows. The set curtains, inspired by the Eiffel Tower, and the central curtains, which were hand painted, give a grandiose feel to the stage. This sets the tone for the poetry of Corteo. The cast of Corteo includes 51 acrobats, musicians, singers and actors from all around the world." Tickets start at $49.00 (plus fees) and go up to $130 depending on seating location. There is pricing for both adult and child tickets. You can order tickets for this show directly through Ticketmaster. Order early so you can get the best seats in the house, for this amazing show, not to be missed when it stops by Worcester, MA in the new year. Thanks to the kind folks at Cirque du Soleil, one lucky reader will have a chance to win a family 4-pack of tickets to this show for opening night, Thursday, January 3rd at 7:30PM. To enter, please complete the entries on the Rafflecopter form below. Good luck! Originally composed of 20 street performers in 1984, Cirque du Soleil completely reinvented circus arts and went on to become a world leader in artistic entertainment. 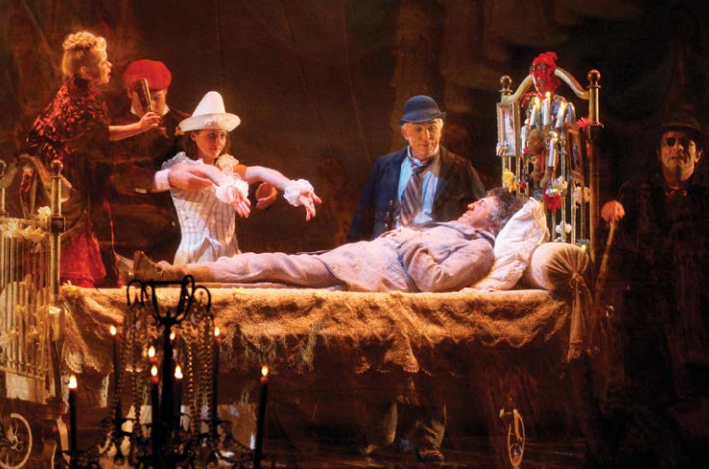 Established in Montreal, the Canadian organization has brought wonder and delight to over 180 million spectators with 42 productions that have taken place in close to 450 cities in 60 countries. Cirque du Soleil currently has over 4,000 employees, including 1,300 artists, from nearly 50 countries. In 2017 alone, 19 shows are being presented simultaneously throughout the world. Cirque du Soleil gratefully acknowledges the official partner of the Corteo USA tour: Sirius.